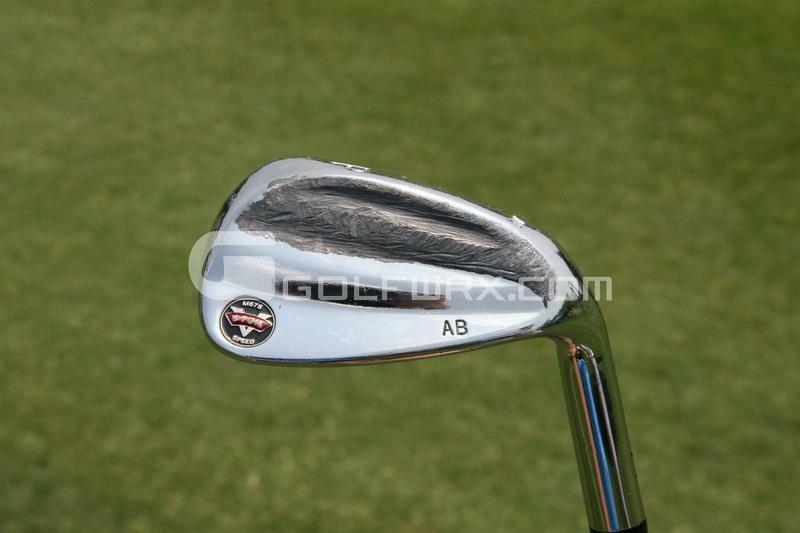 Small forged blades custom built for Aaron by Don White of MacGregor golf. 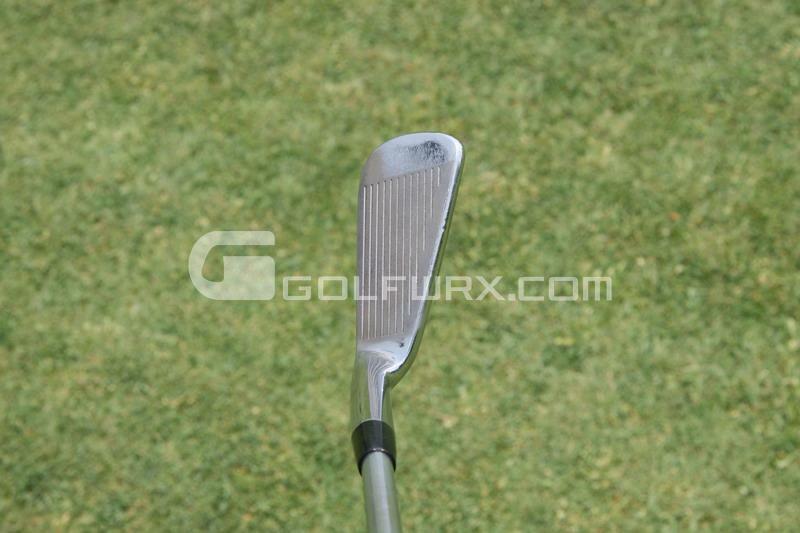 Small heads with a big leading edge grind. Helps with Badds decending blow to the ball. Can't help but notice how straight his right knee is in the first frame. Thanks for the AWESOME pics. 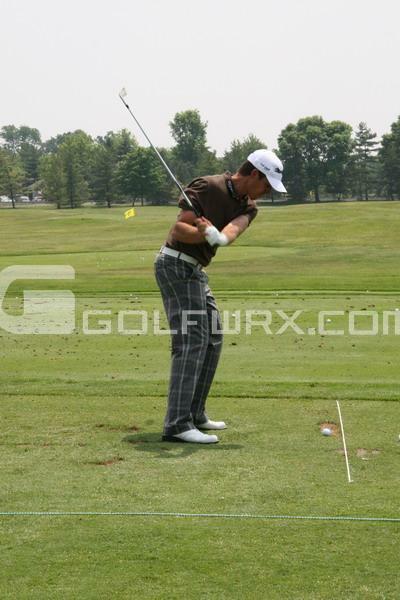 Thanks for the swing sequence pics! Very 962. 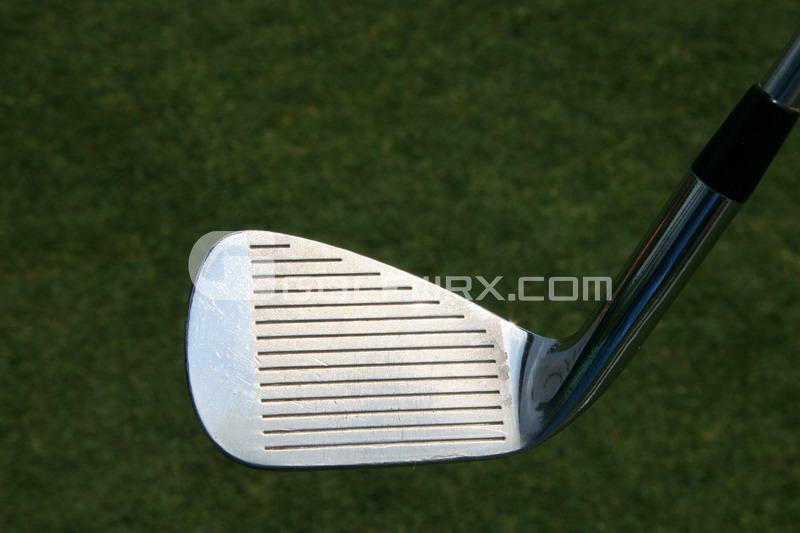 Those were the most versatile grinds I had played with until the Cobra Forged SS. 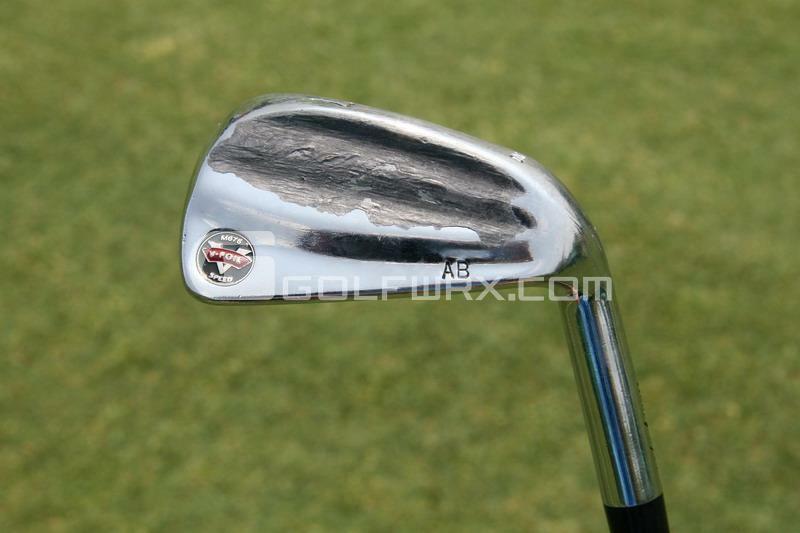 I wish the soles on the Forged SS were a little narrower. 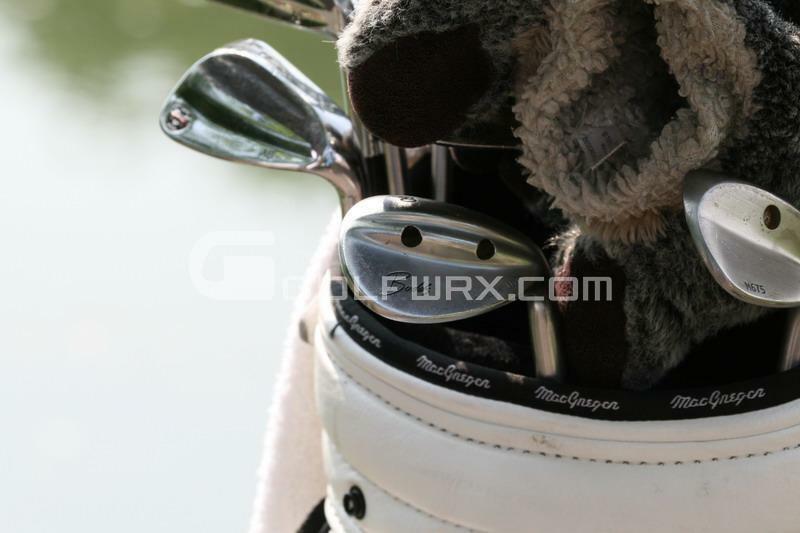 awesome pics, the sand wedge reminds me of the old (circa 1985) Wilson Staff JP SW, I think i still have one in the family somewhere. 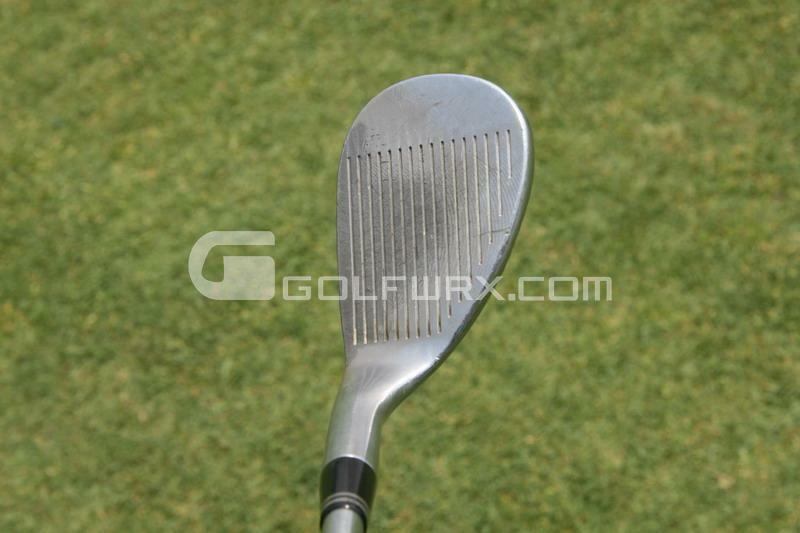 I had one of those too, a la Seve at the time. Wow, incredible pics. 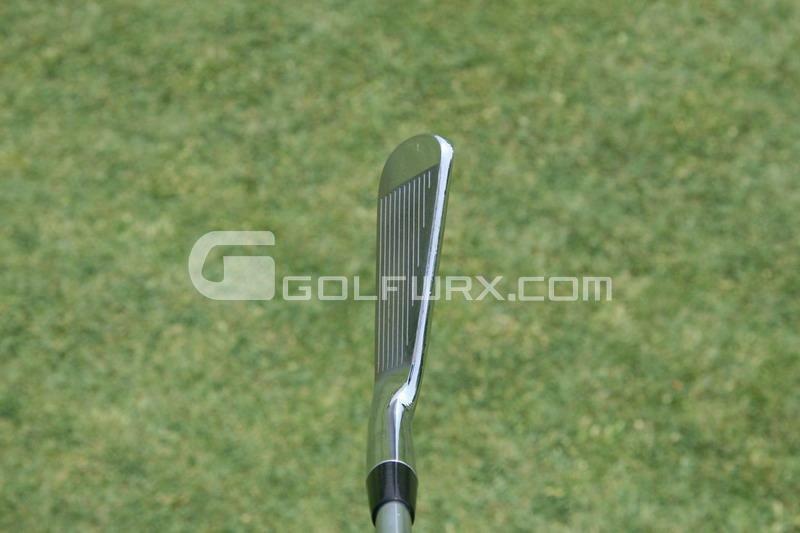 Can you imagine the average guy trying to hit that 3 iron? I think I would want to quit the game if i had to go back to tiny blades like those. They are sure gorgeous though! Thanks for the great pics as always. That new swing still looks strange to me. Still, whatever works I suppose. 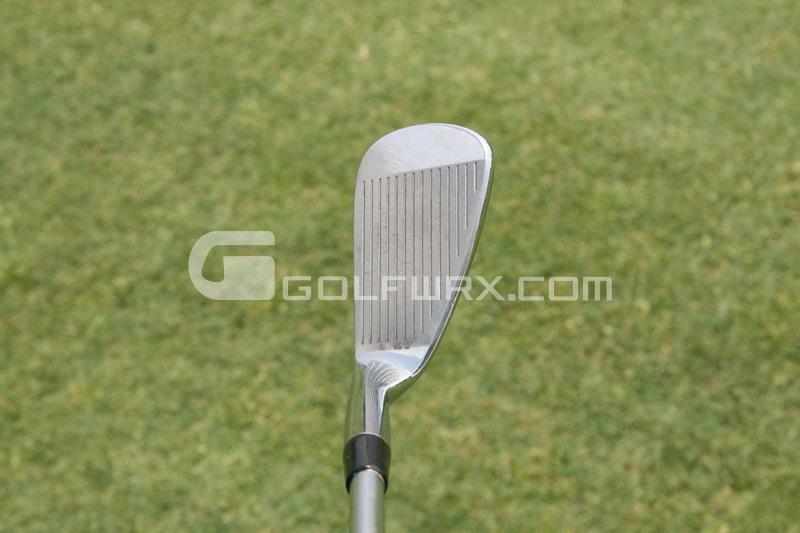 I've been fighting the temptation to go over and get set of Don White irons made. Pics like this are making me weaker though. I think my credit card is going to take an absolute bashing at some point soon. I feel better now looking at my beat up gamers... 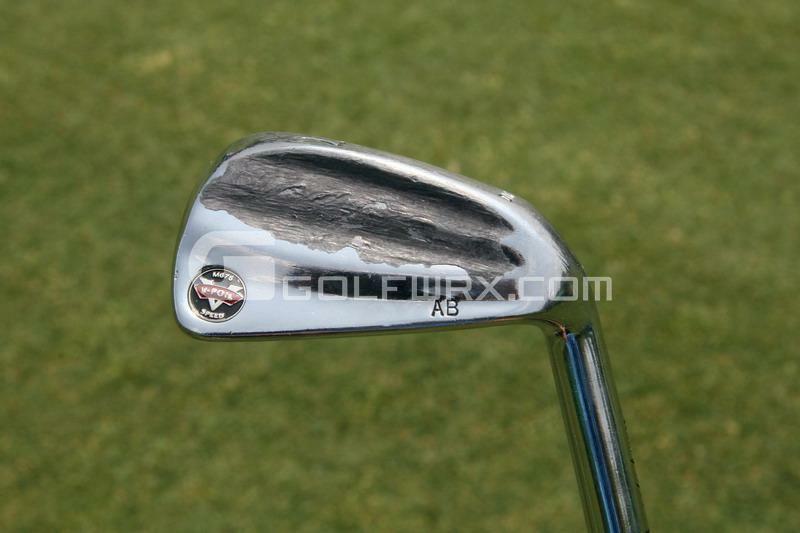 I could give those a run for their money in the 'Most Careworn Iron' stakes.. I don't know what that leading edge grind is about though. Great pics. 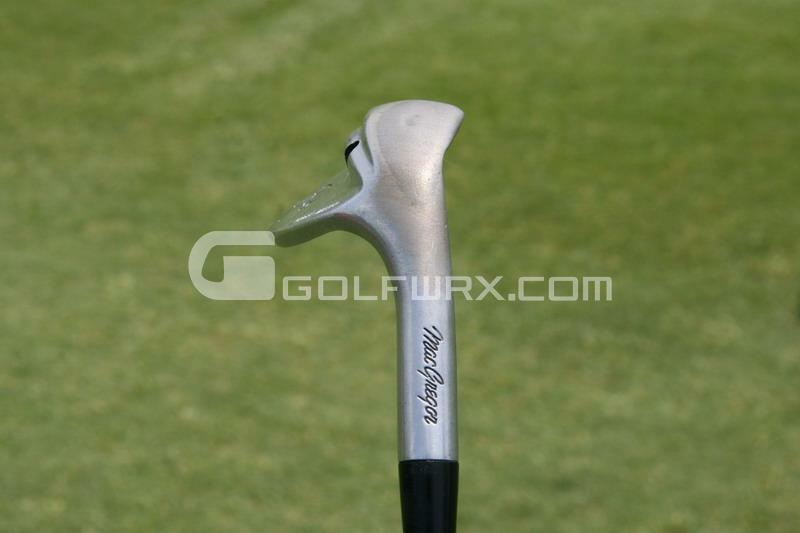 I know they'd just waffle on about not having a market to sell too but MacGregor would probably sell a lot more clubs if they put a retail version of these into production, far nicer than those 'forgiving blades (M675s? )', i'd take a set of those over 695MBs or RAC TP blades anyday. 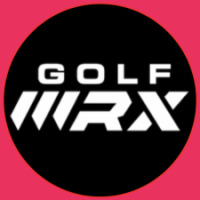 If they could forge them as soft they'd be a real contendor with Mizuno. 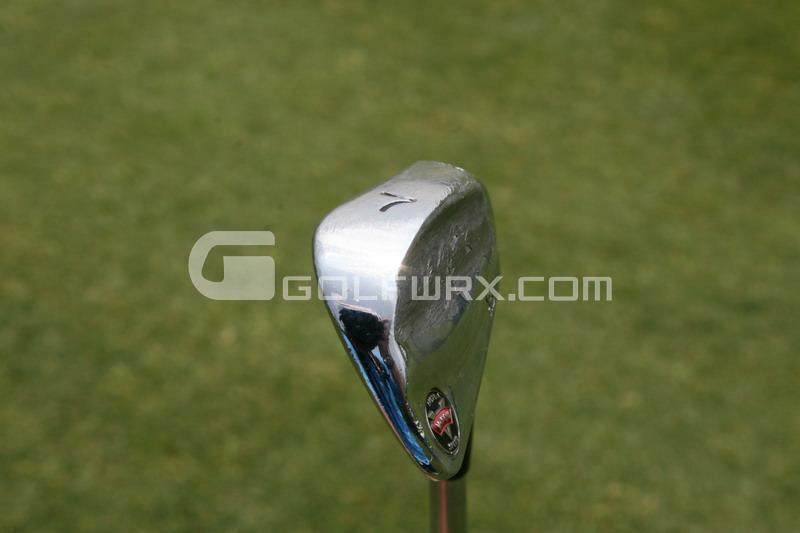 I think Olazabal has some really nice looking ones too. As a BIG Badds fan I am drooling over those pics. 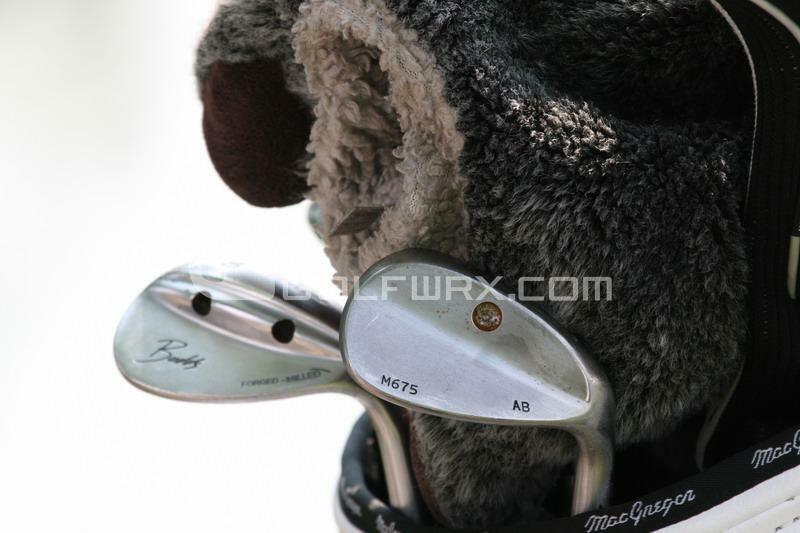 His "tour" irons sure look sweet, and the custom wedges look awesome!!!! 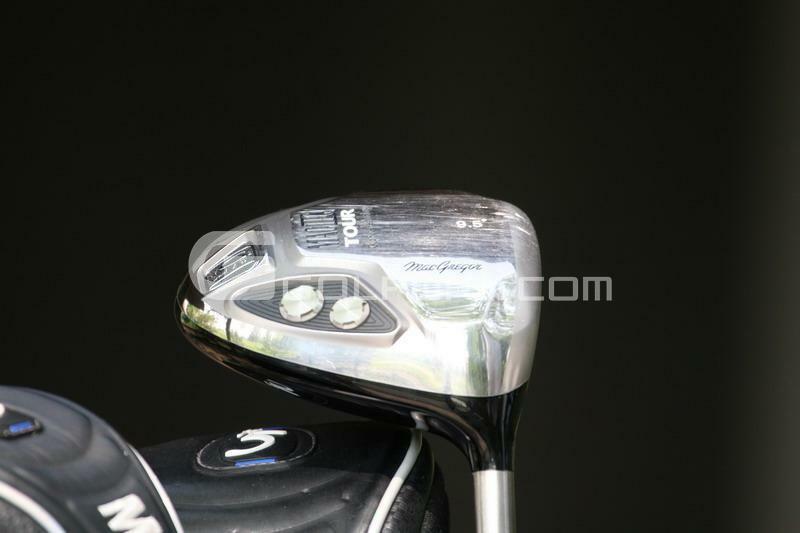 It's interesting that he was seen in a pic talking to a TaylorMade rep. 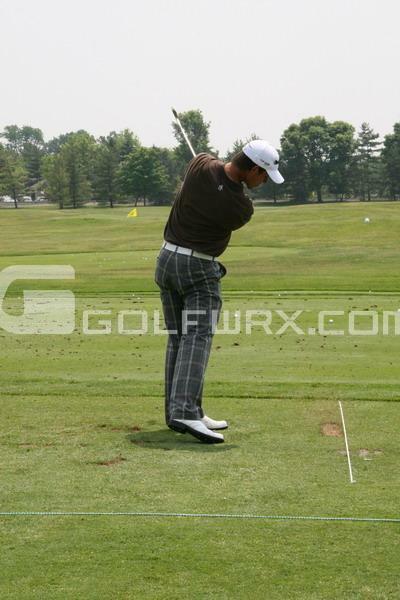 I heard he was getting paid big bucks each week to use a TM driver but he has swithced to a MACTEC. 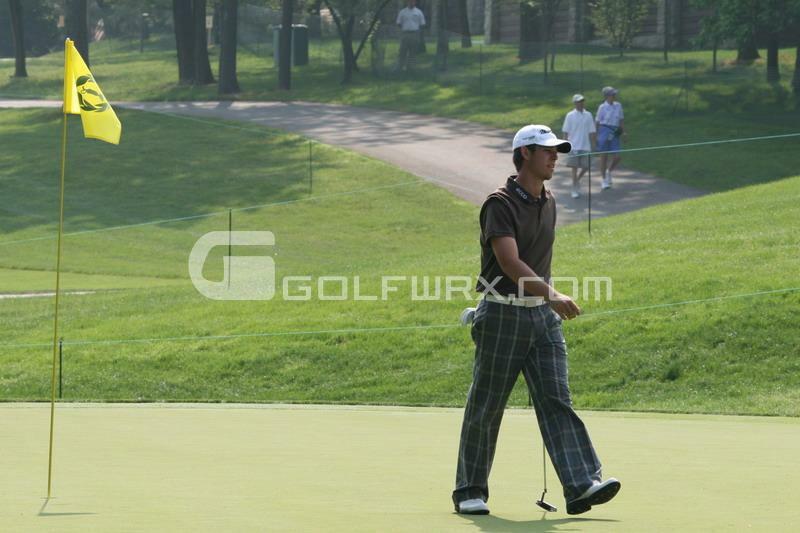 Also, anyone know if the putter is still a scotty, I'm sure it is but never know. Thanks again for the best pics of Badds gear!! 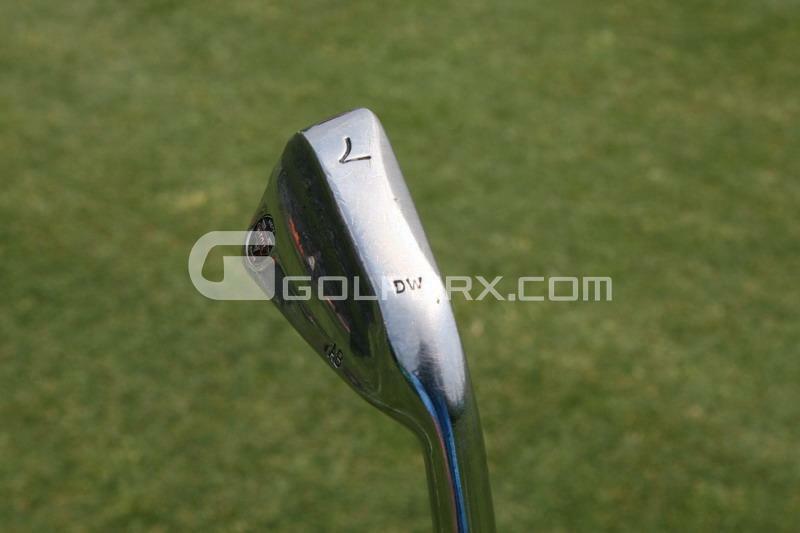 Look like a cross between the V-foil MB and 675s without that extreme wing on the long irons and thankfully without that stupid hollow cavity. Shows Mac can still build a nice forging even if all they offer are those dopey Japanese game improvement "technology" messes to the masses. The man with Badds is not a TM rep, it's one of his coaches!! My mistake. I agree with you Sandy. 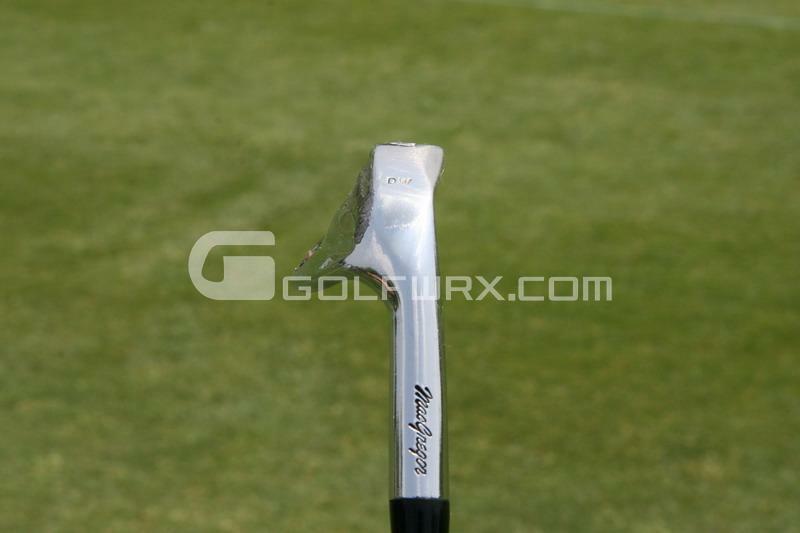 I think that there would still be a thriving market for MacGregor clubs if they abandoned some of the dodgy designs and started producing some good, forged irons for the purist. 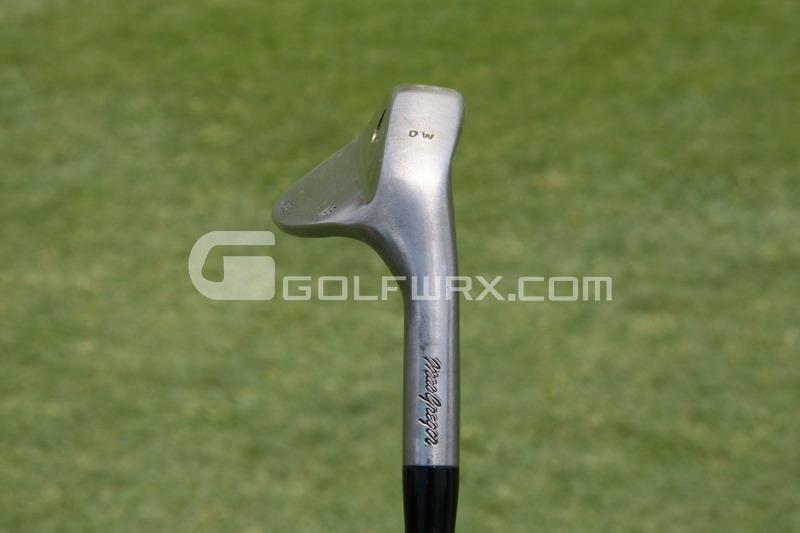 The VIPs and the Muirfield 20ths were the epitome of desirable clubs when I was growing up; and they even did the forged player's cavity thing well too, with the JNPs. With the current lineup, you won't see me with a MacGregor club in the bag any more than you'll see me winning this year's Open Championship. If they produced something like in the pics then I'd be interested. MacGregor's marketing department need to take some history lessons and look at what made the company famous. 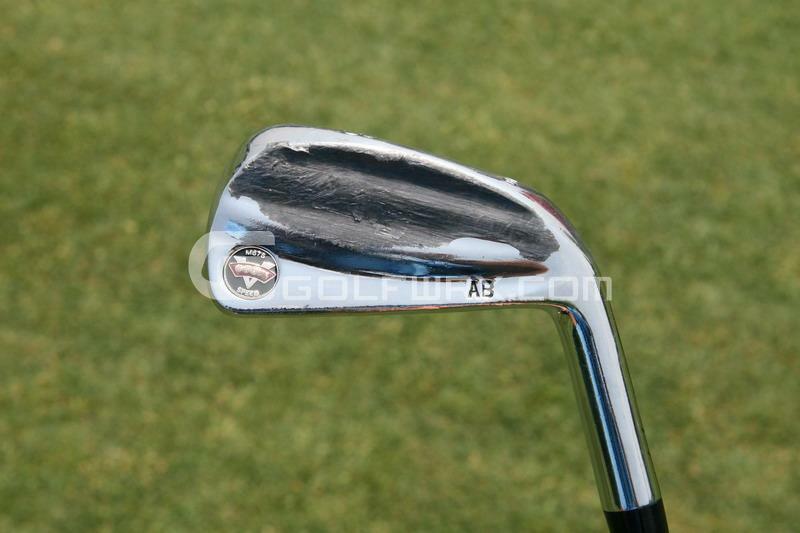 The persimmon woods are obsolete now, but 'proper' irons certainly aren't. The grind will help not dig as much. 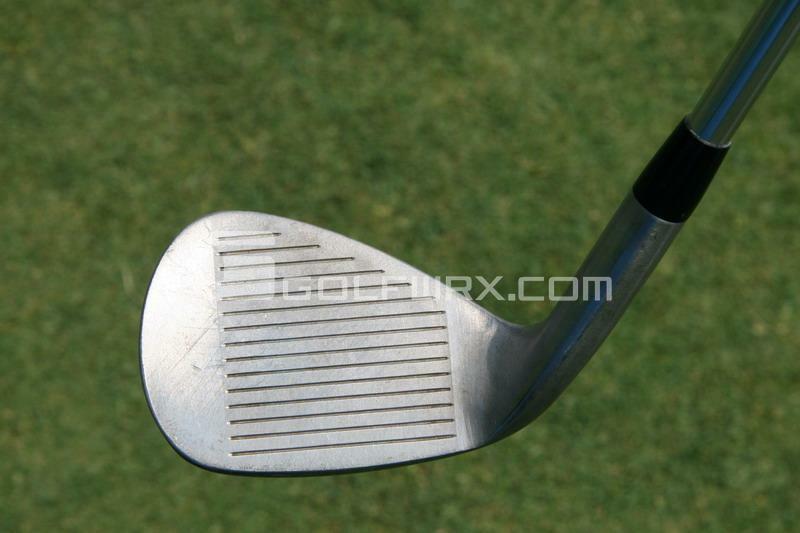 If you have a decending swing path this grind helps as you enter the ground from diging in to fast. Who is Don White? 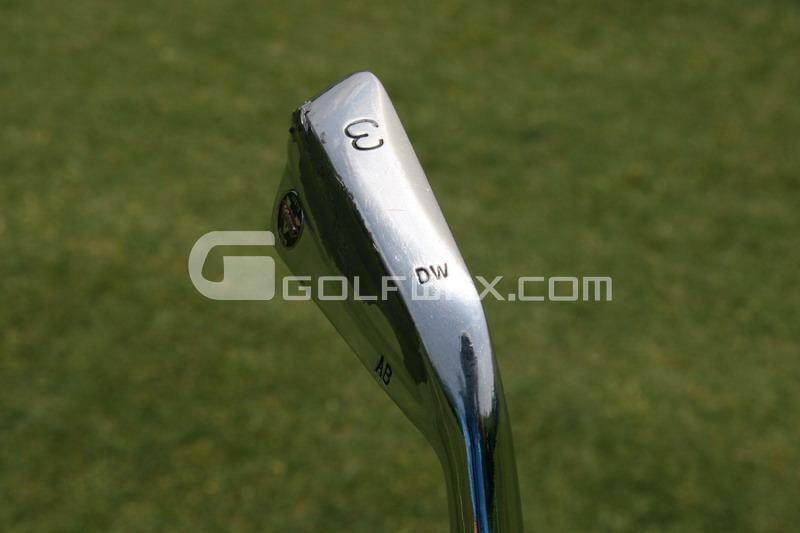 At The Players, I noticed Steve Elkington's irons had the DW initials. 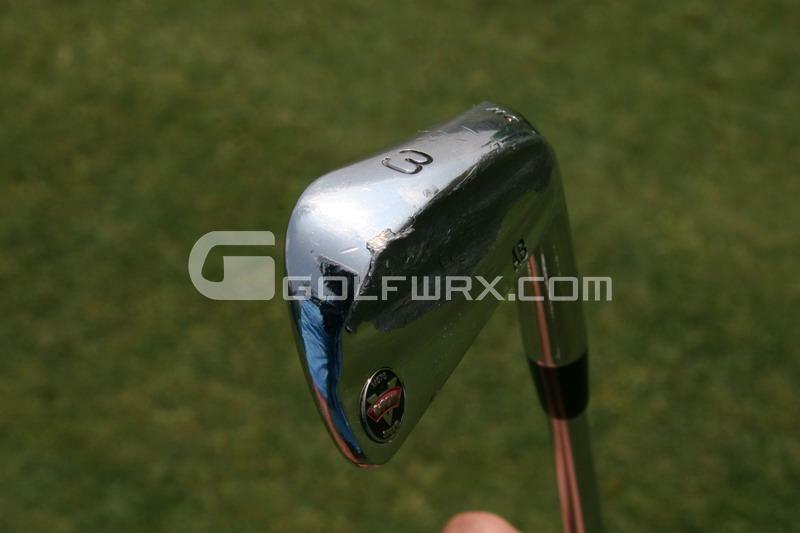 The looked like MP33 grinds, but had no stampings at all, except for the DW and EE initials. 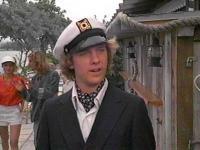 MacGregor's most famous craftsman. 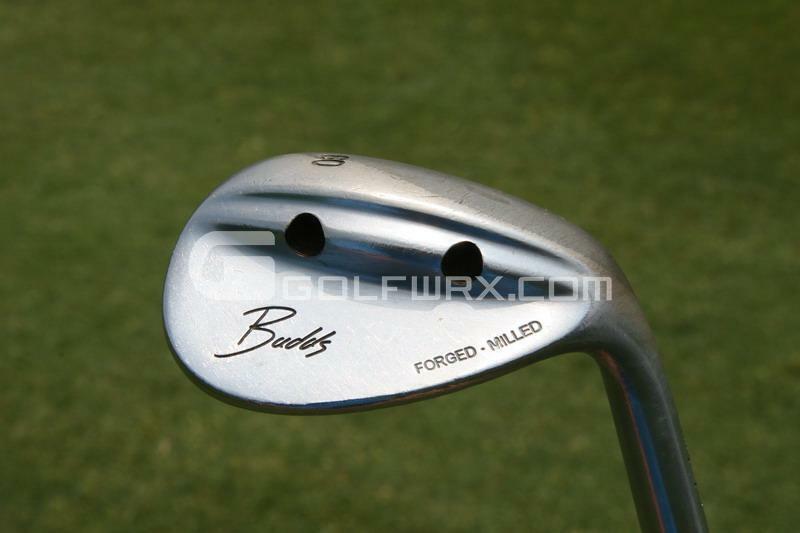 Most of the pros over the years had Don White do their irons. Greg Norman (even though they said Cobra), Jack Nicklaus just to mention a couple. I've got three sets that were done by Don White but it costs big bucks through their custom program and you don't get him to work on your set unless you know someone (Barry S. or Jim B. would be a good start). Think at least $8,000 to start. 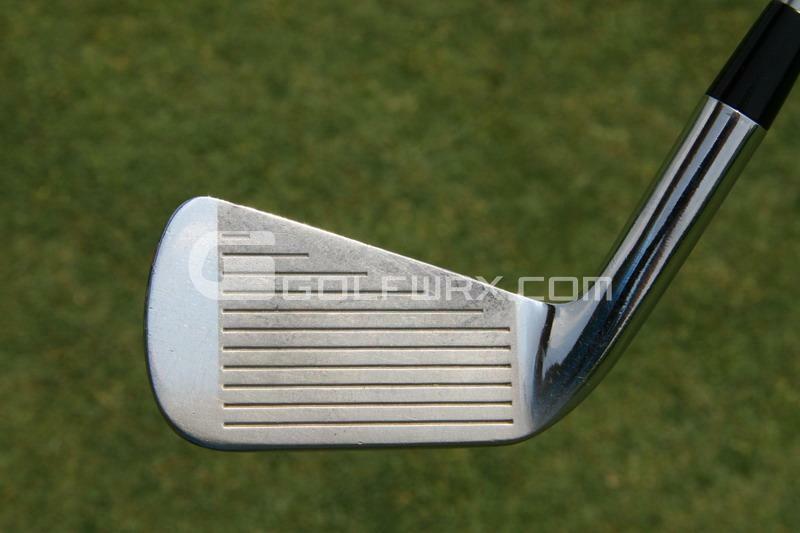 I love the look of well-worn, broken-in forged irons. 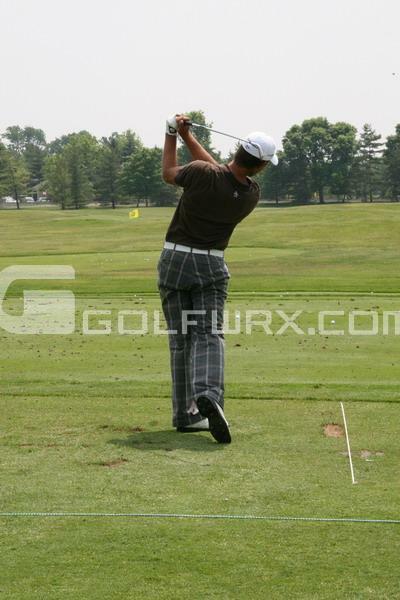 I heard he was getting paid big bucks each week to use a TM driver but he has swithced to a MACTEC. 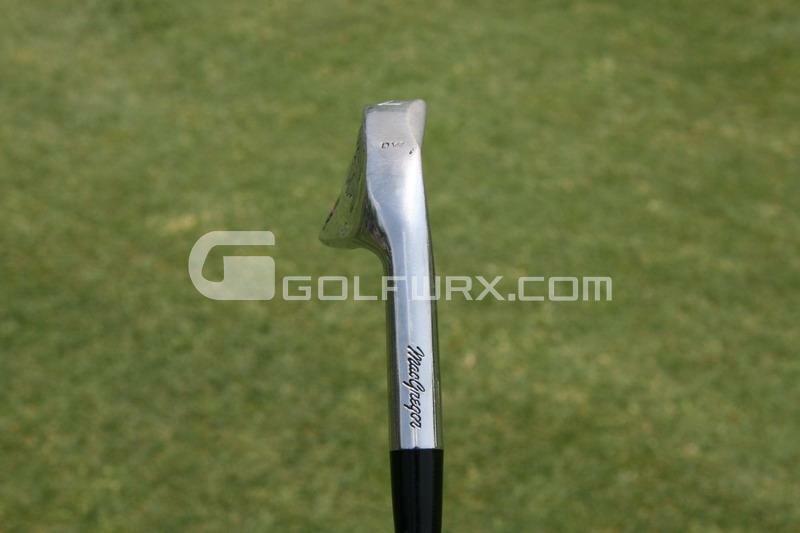 Also, anyone know if the putter is still a scotty, I'm sure it is but never know. 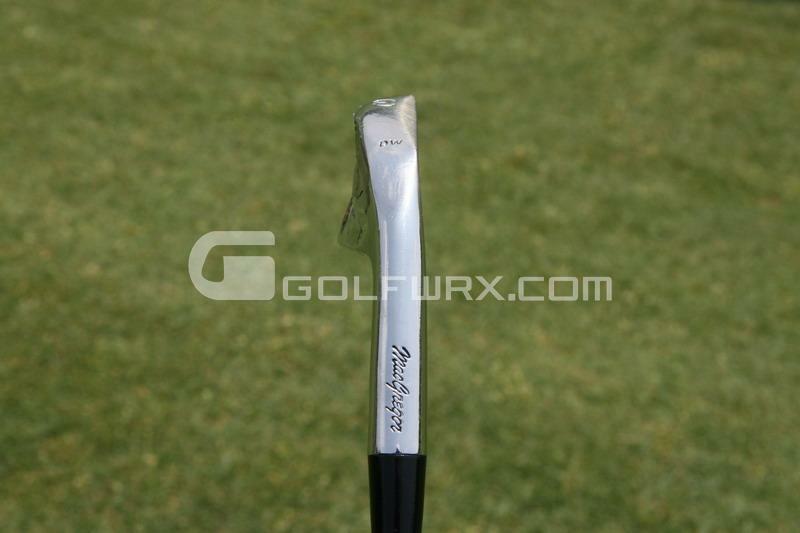 Olazabal has also put a MacTec in the bag (taken out his 905R). I think Macgregor will be making a big marketing push very soon. There's a tour section on their website that still says 'coming soon'. They've probably waited until these two put the Mactec in play before discussing what's in their bags. Badds is still using the Scotty Newport Oil Can. 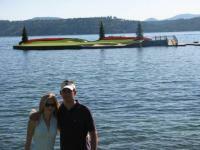 The guy in the Taylor Made visor with Aaron is Andy Plummer his swing coach. May be if there are few more photos of Bad's swing from the address to top of the backswing position. 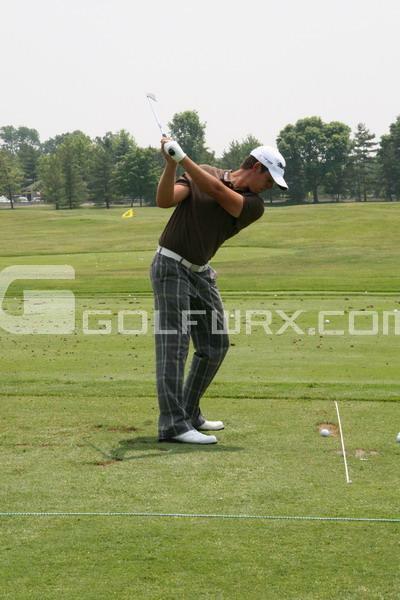 I would like to know the complete sequence...cause I am doing stack and tilt since the article on GolfDigest. 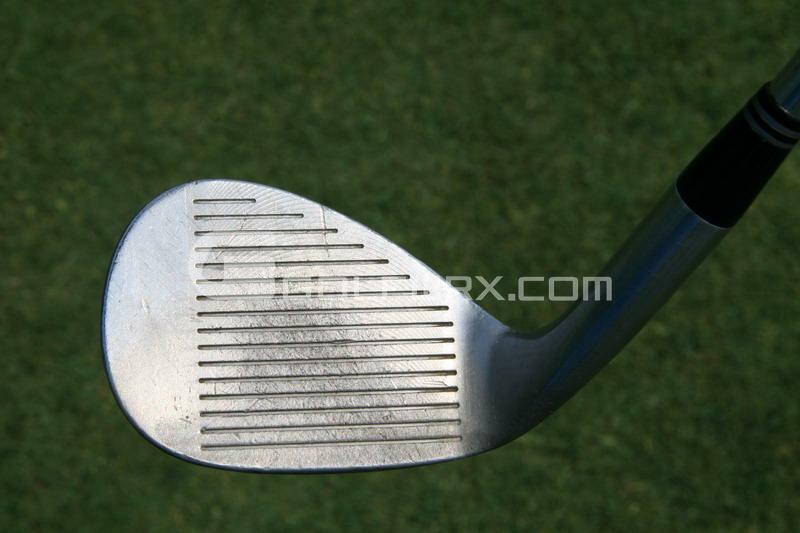 I have to say, I think Badds is one of the purest looking ballstrikers on tour. Those iron pics look really good. I thought my TP blades were small, but those look to be about 1/2 the size of the TM's. 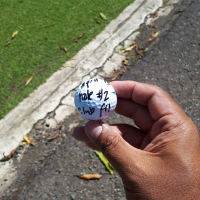 Thanks for the shots and especailly the swing sequence. 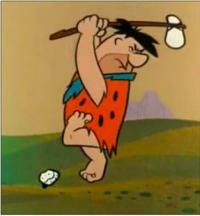 Looks like the new unorthodox swing published by Golf Digest is definitely working out for him. Man, that swing sequence is the shizit! 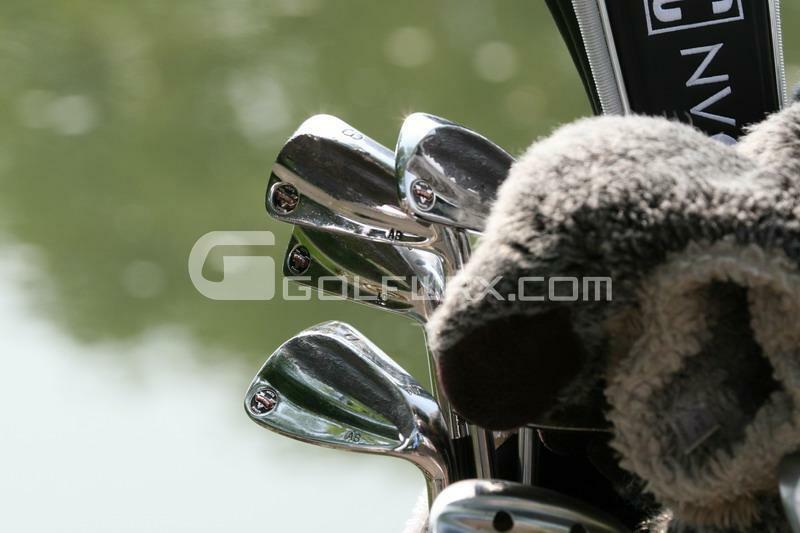 If given the opportunity to choose any swing on Tour, I would take Badds'. S&T or not, he's always had a very compact, simple motion that I've admired. 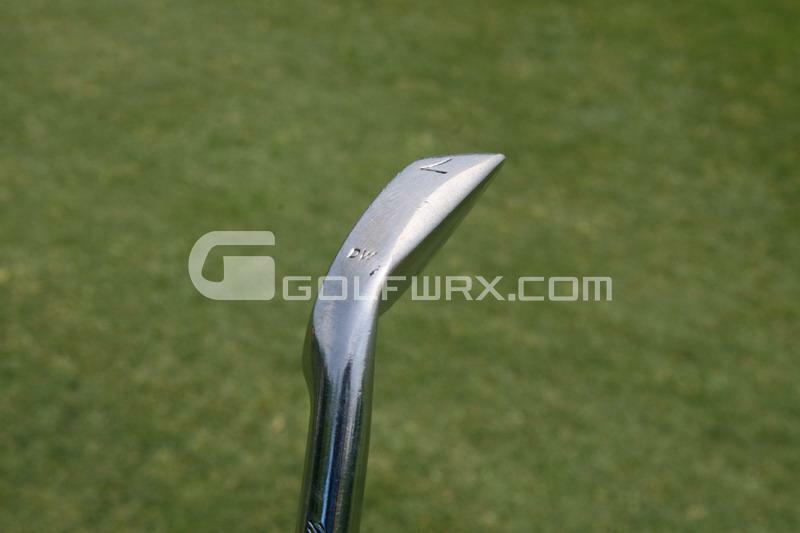 If not for the leading edge grind on that 3 iron, you could clean it up a bit, throw some shaving cream on your face, and get a nice smooth shave. That thing is sick! 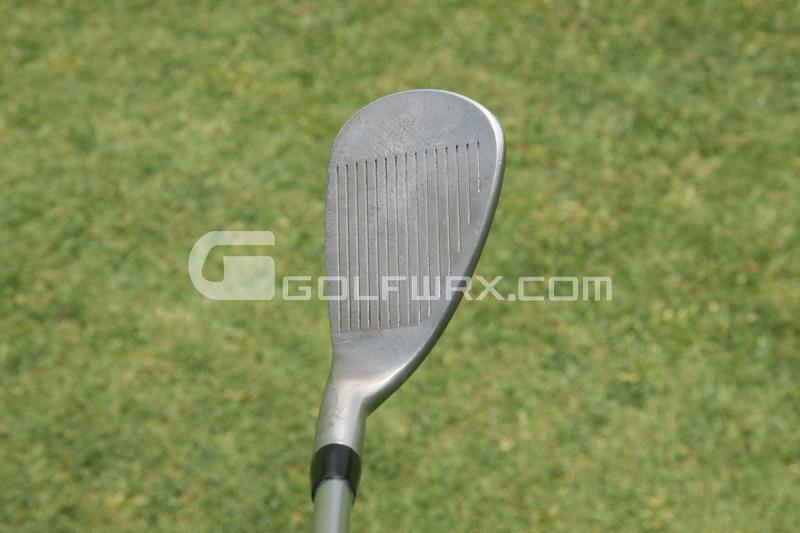 I shanked a ball just looking at that club. 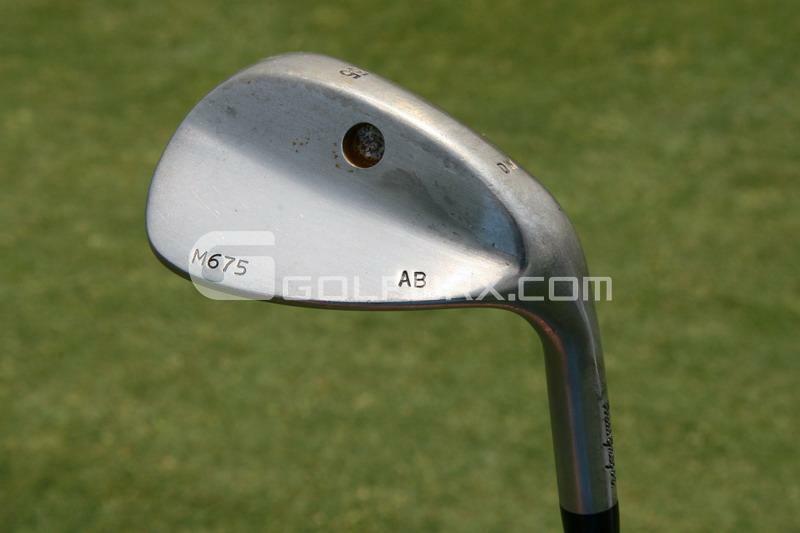 i have a question i have noticed many players have holes in the back of their wedges, what does that do? It's called "porting". 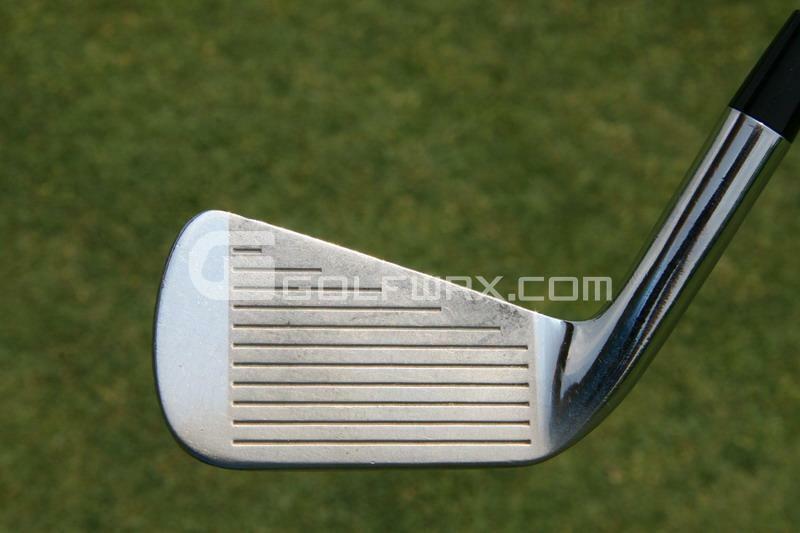 Porting will subtlely change the centre of gravity of a wedge and result in a marginally lower or higher ball flight (depending on where the port is on the wedge).